The "Acero campestre" agriturismo holiday farm is strategically located between the cities of Venice, Verona, Vicenza, Ferrara and Bologna, just a stone's throw from Padova. 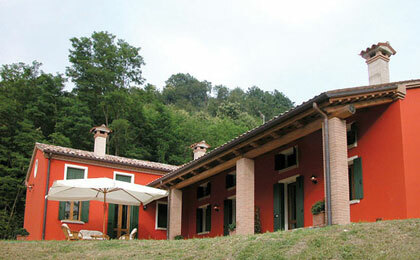 Completely immersed in nature, it is situated close to the thermal spa resorts of Abano Terme - Montegrotto. Furthermore, it is surrounded by four golf courses which were once the parks of ancient Venetian villas. Acero campestre has 4 independent apartments, all equipped with a fireplace and a whirlpool bath, kitchenette and two bathrooms. The restaurant offers biological products such as wine, oil, salumi, vegetables, etc. It is open from Friday to Sunday.